Fox has released detailed info on their 2018 San Diego Comic Con plans which include an immersive dome video experience promoting Cosmos: Possible Worlds and an up-close-and-personal look at a “patient” from the upcoming new dramatic series, The Passage. Comic Con attendees will also be able to take a free ride in an The Orville-inspired pedi-cab or snag a bite to eat at Bob’s Burgers Shake Shack. The network also confirmed they’re hosting panels with cast members from their lineup of primetime shows including Seth MacFarlane, Stephen Moyer, Neil deGrasse Tyson, Kristen Schaal, H. Jon Benjamin, Mark-Paul Gosselaar, Henry Ian Cusick, and Adrianne Palicki. 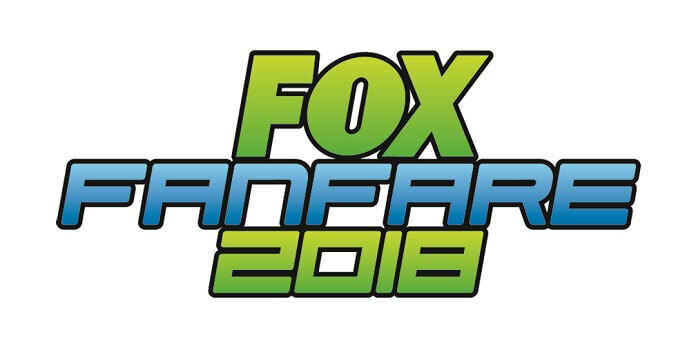 The FOX FANFARE Booth (#4229) will feature an incredible lineup of talent on the convention center floor for star-studded autograph signings and exciting booth activities, including distribution of the exclusive 2018 FOX FANFARE poster tubes, collectible mini-posters, premium giveaways and merchandise sales. Drop by the FOX FANFARE booth (#4229) daily to pick up the 2018 FOX FANFARE Poster Tube, as well as Exclusive and Collectible Mini-Posters from THE PASSAGE, COSMOS: POSSIBLE WORLDS, THE ORVILLE, THE GIFTED, BOB’S BURGERS, THE SIMPSONS and FAMILY GUY, among other FOX FANFARE properties. Based on Justin Cronin’s best-selling fantasy book trilogy, FOX’s world premiere screening of this epic, character‐driven thriller about a secret government medical facility experimenting with a dangerous virus that could either cure all disease or cause the downfall of the human race will be followed by a moderated conversation and fan Q&A with stars Mark-Paul Gosselaar, Saniyaa Sidney, Henry Ian Cusick, Jamie McShane, executive producer Liz Heldens, executive producer/director Jason Ensler, and author Justin Cronin. New drama series THE PASSAGE will premiere on FOX in early 2019. Join THE SIMPSONS team as they look ahead to their 30th(!) season with creator Matt Groening, executive producer Al Jean, supervising director Mike Anderson, legendary director David Silverman, actress Tress MacNeille and moderator Johnathan Fernandez. Warning: there will be prizes! From 20th Century Fox Television in association with Marvel Television, Season Two of THE GIFTED picks up after the explosion of the Atlanta Station. The Mutant Underground search for their friends and family who left with The Inner Circle. Having tracked them outside of Washington, D.C., they must contend with new groups with extreme ideologies, both human and mutant alike, to stave off a brewing conflict. Join executive producers Matt Nix and Jeph Loeb and stars Stephen Moyer, Sean Teale, Jamie Chung, Emma Dumont, Blair Redford, Natalie Alyn Lind and Skyler Samuels for an exclusive first-look at the upcoming season, returning Tuesdays, this fall on FOX.